"Children Who Labor" is a short social drama produced for The National Child Labor Committee. We have included this film in our program to illustrate the work and contributions of our star Shirley Mason. An 11 y.o. Shirley Mason has a child's role in the film. Nonetheless seeing her in any role is a rarity that must be appreciated considering that very few of her films survive. 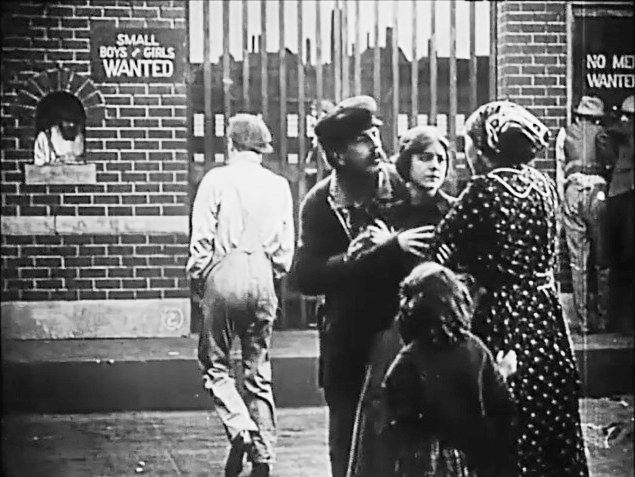 Shirley Mason is the daughter of a factory owner in "Children Who Labor" (1912). 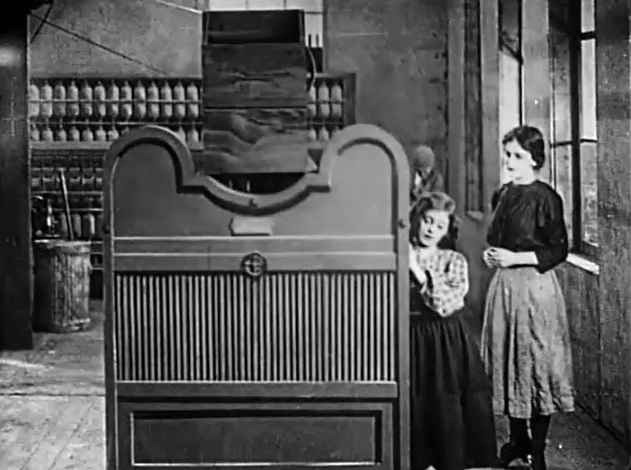 Shirley Mason listens to her parents in "Children Who Labor" (1912). 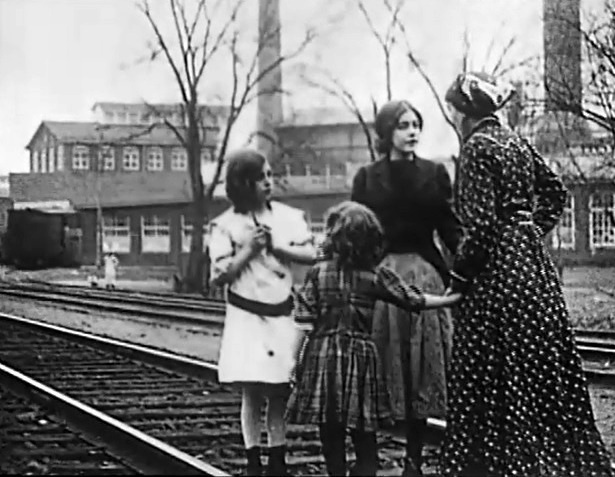 A working class family sends their daughter (Viola Dana) to work in "Children Who Labor" (1912). 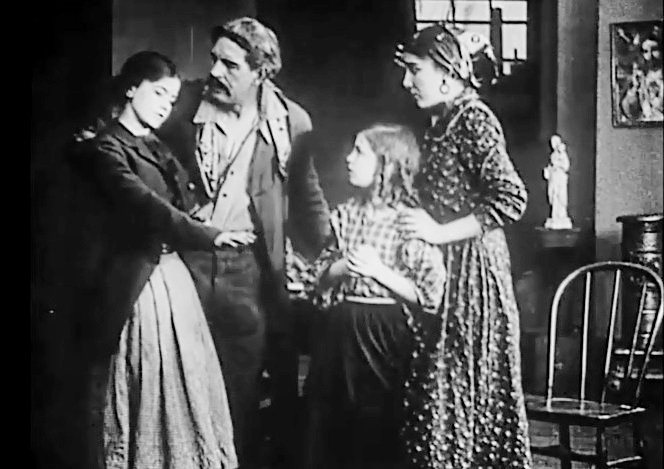 Shirley Mason gets lost during a trip with her mother in "Children Who Labor" (1912). 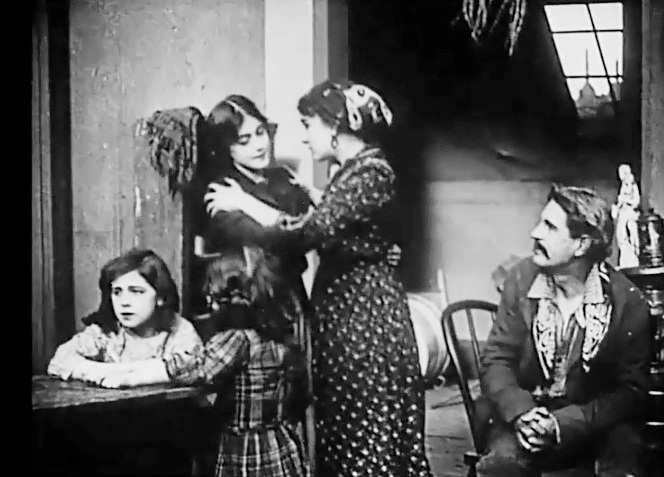 Shirley Mason is found by Viola Dana (her elder sister in real life) in "Children Who Labor" (1912). Viola Dana tells her mother that she found a lost girl as Shirley Mason looks on in "Children Who Labor" (1912). 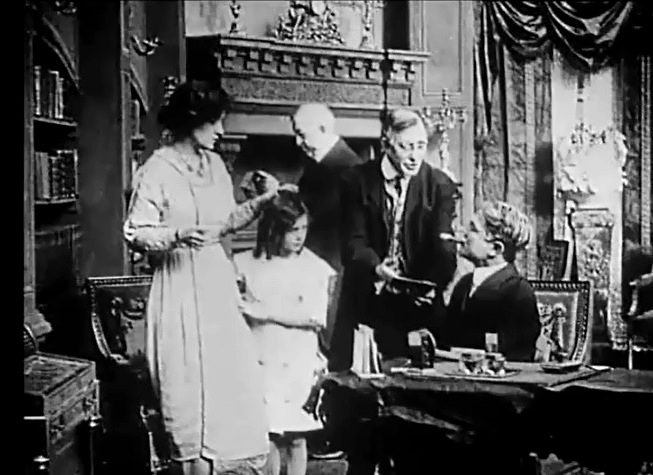 Shirley Mason finds shelter, food and care in the home of Viola Dana in "Children Who Labor" (1912). Shirley Mason and Viola Dana listen as the parents of the family discuss the situation in "Children Who Labor" (1912). Shirley Mason grieves for her family as Viola Dana leaves for work in "Children Who Labor" (1912). 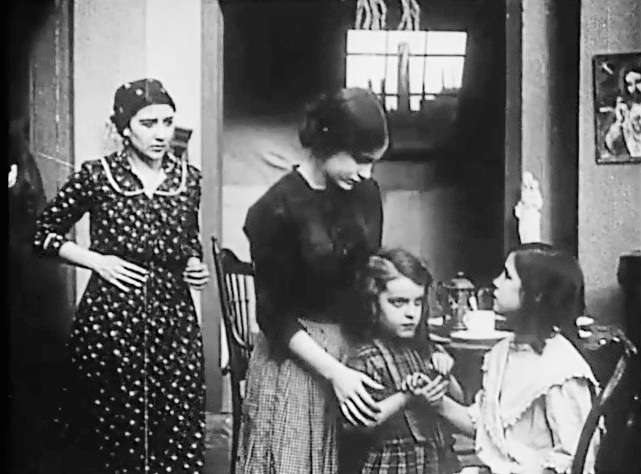 Dire need forces the working family to send Shirley Mason to work with Viola Dana in "Children Who Labor" (1912). Shirley Mason and Viola Dana interact during their work shift in "Children Who Labor" (1912). Shirley Mason gets sick at work and is carried home in "Children Who Labor" (1912). The visiting wife of the factory owner recognizes in Shirley Mason her lost daughter in "Children Who Labor" (1912). 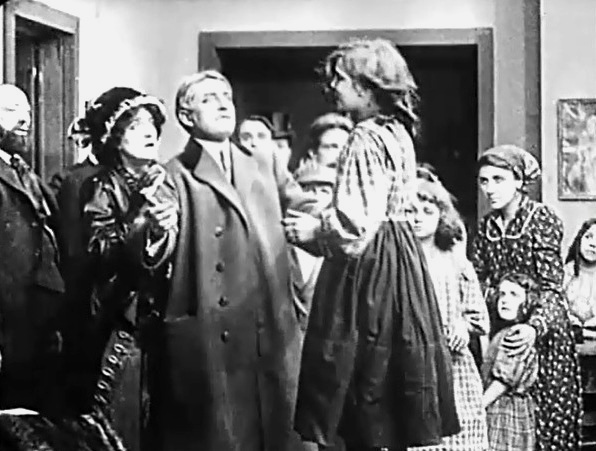 The factory owner promises a job to the working class man for saving his daughter in "Children Who Labor" (1912). 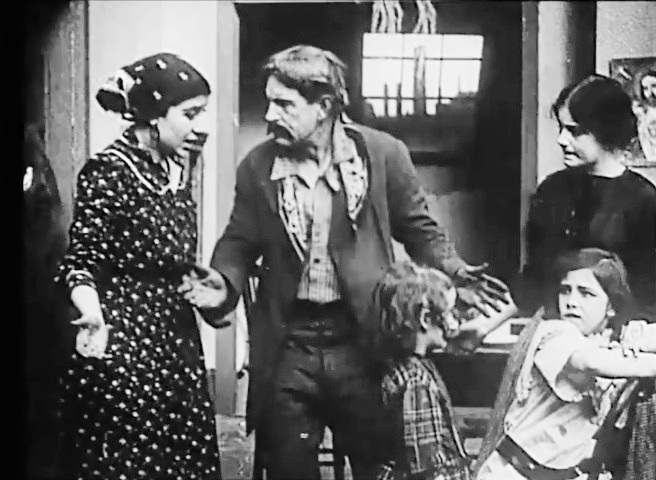 To the consternation of her parents Shirley Mason is not ready to go home in "Children Who Labor" (1912). Shirley Mason apparently pleads her father to give jobs to all working class men in "Children Who Labor" (1912).